How to Practice for JEE Advanced Online Test 2019? How to Practice for JEE Advanced Online Test 2019? How to Practice for JEE Advanced Online Test 2019? JEE Advanced 2019 examination will be conducted in online mode. In the JEE Advanced online mode, students will take up the examination at designated exam centres where they need to answer the questions on a computer instead of using pen and paper. During JEE Advanced online test, the questions will appear on computer screen along with the options. There will be four (or more) options for each question. The candidate has to click one of the options using computer mouse which can be reviewed or re-answered any time during the duration of the examination. 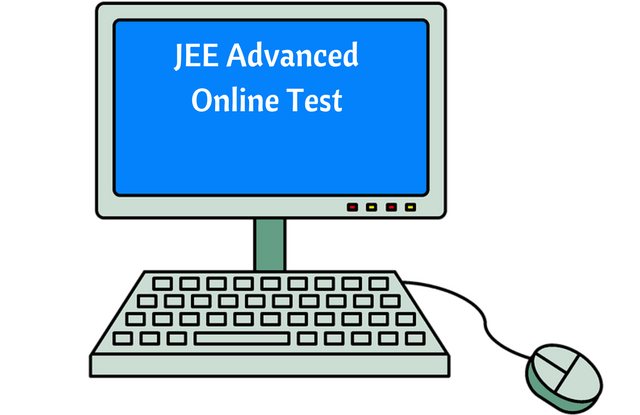 JEE Advanced online test will be very comfortable if you practice online mock tests well in advance. You will get some mock tests on JEE Advanced website, or you can also checkout online JEE Papers provided by IIT JEE coaching providers. If you have not done yet, get comfortable with a computer (or laptop with mouse). Your eyes should not feel any strain/burden during the examination. Make sure you have a distraction free study space where you can practice online mock tests for JEE Advanced. When the online mock test starts, Read the instructions carefully about how to answer questions, use of “mark for review”, moving to next question, shuffling between sections and questions. The instructions in JEE Advanced online exam will be the same like in online mock tests. Reading them each time before attempting a test makes you aware of everything before the exam. When you are not 100% sure of the correct answer, you can mark the question for review and come back to it after finishing the other sections. There will be a timer in front of you (Time Left) during the test. Don’t get edgy and nervous seeing it, avoid thinking of it too much while solving the questions. Just make sure you devote sufficient time for each section as planned. Rough sheets i.e. “Scribble Pad” will be provided to you at your exam centre. Use it clearly for each question. In case you need to go back to a question for review, it will be handy. If you have good practice of solving papers on desktop/laptop at your home, there is nothing extra you need to do at the day of JEE Advanced online examination. You will feel more relaxed than those who have not practiced online tests. Do I need some type of training to perform well in JEE Advanced online test? JEE Advanced basic preparation strategy remains the same. Your first priority should be to continue with your schedule – studying, solving problems, revision, etc. Now along with solving practice tests through pen and paper, you can include online tests practice for JEE Advanced in your preparation. For that you can join a good IIT JEE online test series of a coaching institute. Very Very Important : Make sure you practice online mock tests for JEE Advanced, as many as possible. The syllabus and examination pattern of JEE Advanced 2019 is likely to be the same in online mode. Any changes in test pattern, if made, will be updated here : JEE Advanced Examination Pattern. As a JEE aspirant what you need is ample practice of online tests so that on the examination day you’ll not face something different than what you have already experienced. The change in examination mode not necessarily changes the difficulty level of JEE Advanced. It will still test your concepts and the problem solving ability. Anyway, JEE Advanced is very unpredictable. It likes to give minor surprises every year! What computer knowledge is required to appear for JEE Advanced Online Test? How to use a computer mouse. That’s it. When you practice JEE Advanced online mock tests, you’ll be able to understand all the options on the computer screen. You just need to use your mouse for selecting the answer, navigating between questions, etc. What if there is a problem with computer, will I lose the time? No. If your computer stops functioning, your time will be paused. Once it gets working with the help from exam invigilator, you can start again from the time when it stopped. How do I get the question paper after the online exam? I want to see my marked answers. The question paper and the marked responses will be uploaded to JEE Advanced website. What about rough sheets? I need them to solve problems. You will be given “Scribble Pad” (containing blank sheets, for rough work) at the start of every paper of JEE Advanced-2019. You can do all your calculations inside this “Scribble Pad”. Candidates MUST submit their signed Scribble Pads at the end of each paper of the examination, given to them at the start of the paper. Finally, don’t take too much pressure because you have experience of only pen and paper based exams so far. With right amount of practice, you will be completely ready and confident to face the JEE Advanced 2019 online test.